ILoveMico brought us three interesting links: Two sites with Aya wallpaper (1 2) and a nice essay on "Happiness". Nights4Saturn commented: That's probably the most amusing foot massage ever. My favorite is still probably the hula lesson from the first Alo Hello. She was so nervous when she had to do it alone. So cute! Plus "Love Namido Iro: Aloha Version", was pretty cool as well. Took me a while to figure out that the hula instructor from the first Alo-Hello was the housekeeper in the second. And silenceglaive added: All foot massage scenes I have ever seen in the H!P were like that. 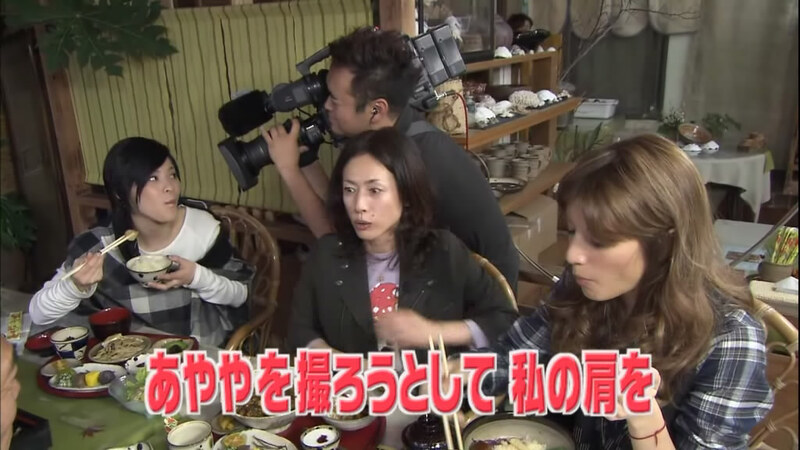 Fumi explained: They are hurt on purpose for fun of audience, this is characteristic Japanese humor, so sorry! I have attended foot massage with my friend Jessica, there are many reflexology shops in our town because so many Chinese people. This massage feels very good! I was never hurt! And this is kind of cheap too, $15 for one hour but you should give tip too. Wow, so many Chinese people do this! husband-wife together, mother-daughter, etc. relaxing fun! which was summed up by Chobi: Lol gotta love that crazy Japanese humor; taking pleasure out of other people's pain. Apparently Thailand is a more gentle country as chibimaki reported: The ones in phuket were the best apparently cuz Takahashi-san and Kamei-san loved them! 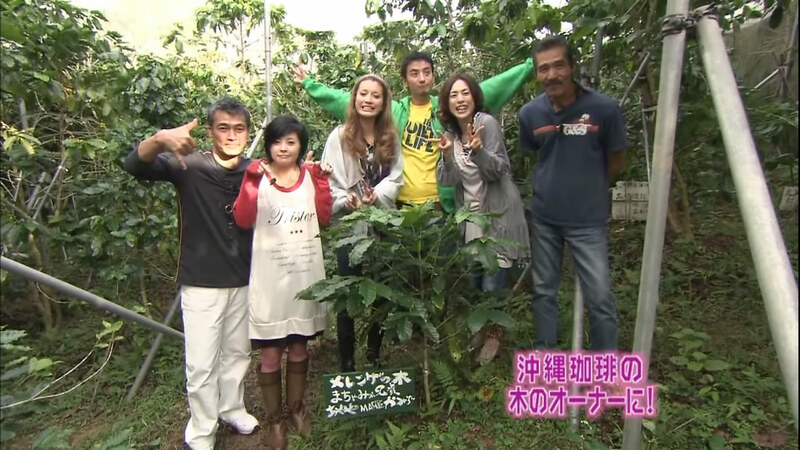 matadesuyo8 also did some caps from the latest Gyao Midtown episode in which Aya again appeared in the maid outfit: Just saw the new ep of MIDTOWN TV (2008/01/10). It was a digest of the HP 2008 Winter Concert. Lot's of backstage interviews including none other than Ayaya. Some vidcaps. Hey, Matt. Remember how we joked around about Ayaya dressed as a french maid? Fwiw, the other OG members (including Yuko & Nacchi) were also wearing the same type of maid outfits in their backstage interview clips. shug's wish for official pictures was granted soon. Tuhis marveled when thinking about that concert: Coolness... IMO that was one of the best or maybe the best H!P live performance EVAR. Because it felt like the performer was human instead of an over-produced idol. A human enjoying herself instead being there for the paycheck. Matt then followed up with the new Meringue. This week's Meringue for me was the best episode ever. Highly entertaining, lots of fun and lots of different episodes. 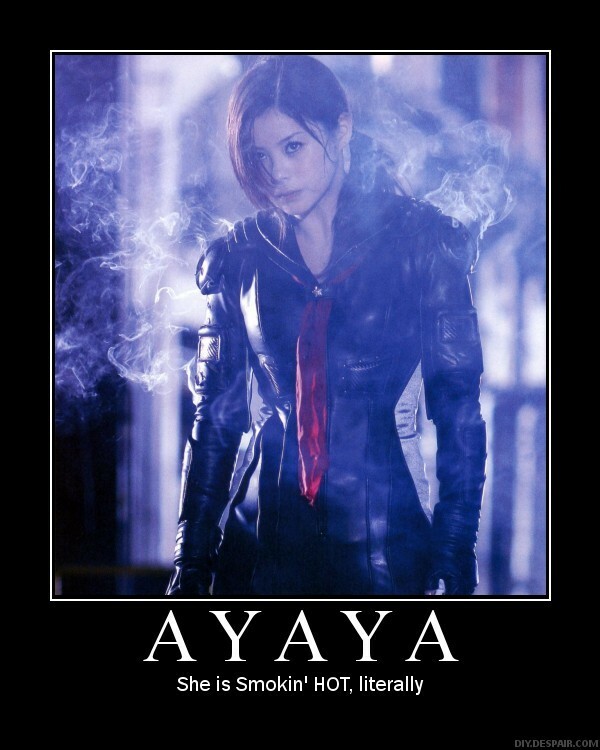 And Aya in a far more active role than in the studio-bound episodes. Highly recommended. Ninja-Man even confessed: I think the jet black, short style is growing on me. I kind of like it..., supported by Kreuz Asakura: and I was thinking that I was the only one who like it... I really love black hair and I think it looks cool on her. Fumi reminisced: When we are young we all have such hair, yes? this is only natural for her. And mister.mori had this to say: a discussion about hair style...how can i not jump in!? 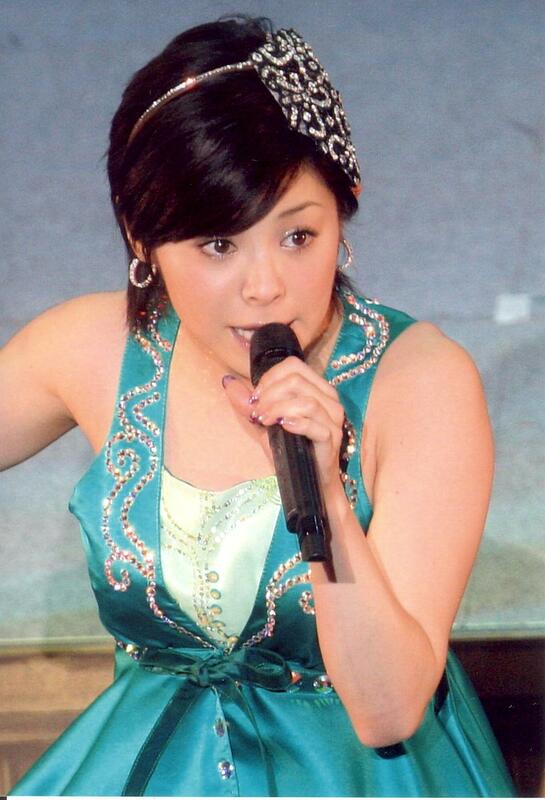 i really really like Aya's black hair! i think i'll be downloading this episode of Meringue just to get a better look! And usagi no kami thought: Is it me, or does anyone else get reminded of Little Nicky by Aya's new do? Chobi commented on these: How cute! We finally get to see a cosplaying Ayaya! I want to see cat ears next. 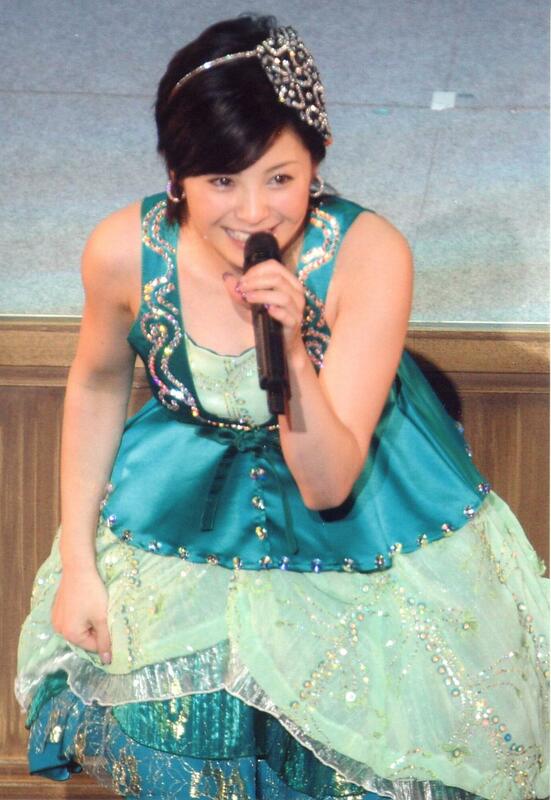 And she looks like a blueberry princess in that blue dress Chotto kawaii!